The Save Coney Island group is calling out to all Coney supporters to gather up and rally in support to keep saving Coney Island. 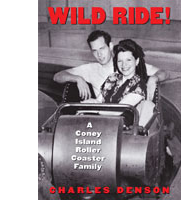 Last spring the group held a successful rally at City Hall to cheer their support and love for Coney Island, now they hope to rally supporters to form a think tank to help save our beloved play land. recreation and fun.We will be announcing more details about this meeting very shortly!! Please let us know if you are interested in becoming an active member of Save Coney Island. Please also indicate the ways in which you would like to become involved. thanks so much for your interest! I myself a local resident of Coney Island district and I despise people who support notion staying with rundown Coney Island. At some point of our life’s things tend to change hopefully for better. 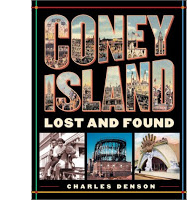 I see Coney Island as a jewel of South Brooklyn for tourism, year round live entertainment like concerts, musical plays and etc. Maybe a few five star hotels and restaurants to dine and wine while enjoying spectacular view of ocean. Speaking of exclusive restaurant Childs Building by Taconic ( http://gowanuslounge.blogspot.com/2007/08/checking-in-on-coney-islands-childs.html#links)Development is going to do just that to attract families and couples to enjoy their fine cuisine. 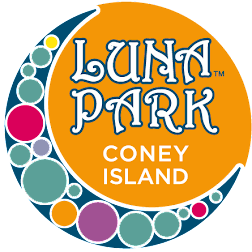 I want to see Coney Island striving for brighter and safer environment where families and people can enjoy themselves. They do NOT want coney to stay as it is, everyone wants it to be developed. Though some favor condos and generic retail stores, while some favor amusements and the character that has kept coney unique for 200 years. That is why you find so many people opposed to the development that has been proposed by Thor Equities. I agree with previous post- best thing we can have is a year round coney island - and we need private investment for that. Aren't the condos gone from the plan? I am confused. A friend of mine went to Mr. Zigun's speech on Sunday. There was discussion there - that confirmed that the Astroland developer is not proposing condos. No one wants condos and now they are gone from the plan. It does no good to spread misinformation about the condos -they are no longer being proposed. We need private investment in the area - like other parts of Brooklyn and NYC have enjoyed.